Lompoc Record: Santa Barbara County’s twin disasters — the Thomas fire in December and the 1/9 Debris Flow it spawned — prompted the Foodbank of Santa Barbara County to launch a new disaster preparedness plan. The Foodbank is a member of the nationwide Feeding America network of 200 food banks that span the entire country. We train together, advocate together, and source food together. When disaster strikes, we work together. When Ventura was overwhelmed during the early stage of the Thomas fire in December, 2017, the Foodbank of Santa Barbara County stood ready to source and deliver food for our Feeding America sister food bank, Food Share, Inc.
During the closure of the 101 freeway after the Montecito debris flow, Carpinteria was cut off from the food resupply provided by our Santa Barbara warehouse. 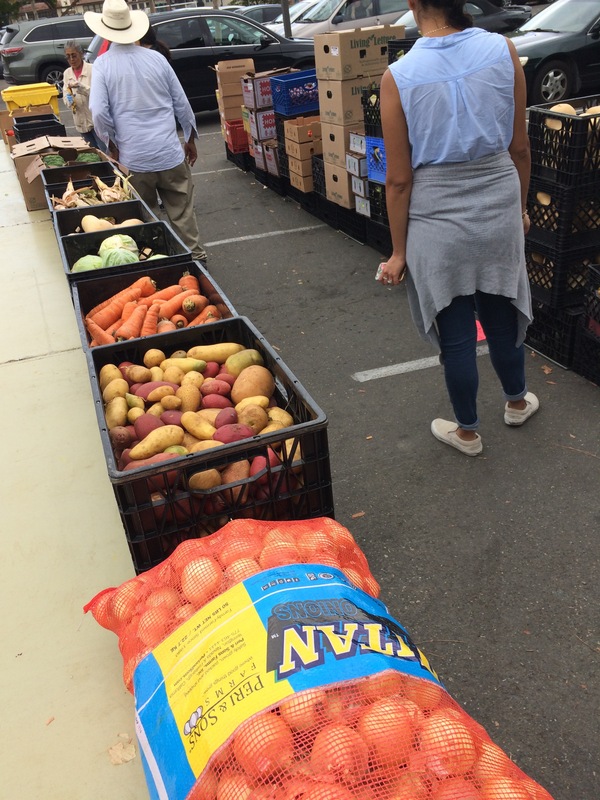 It was then that Food Share, Inc. readily stepped up and returned the favor, starting a resupply process that ensured healthy food continued to enter the community with the help of our partners and emergency food distributions. Foodbank team members who lived south of the closure and couldn’t make it to work in Santa Barbara staffed many of the distributions. The amazing teamwork and strong community allowed us to keep resources flowing during this time of disaster, and now we’re working to make sure it’s even easier next time. Foodbank’s operations staff responded to a situation when many of our member agencies were closed and unable to distribute food because of hazardous air quality. In response, we organized new distributions and programs targeted at specific groups and increased individualized food deliveries and volunteer opportunities. 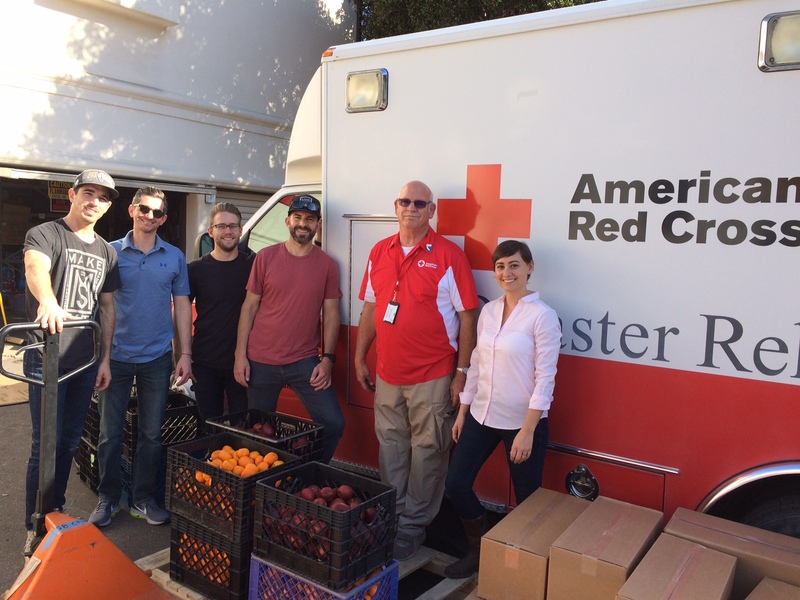 Throughout December, Foodbank provided food to the American Red Cross evacuation shelter at UCSB, distributed food directly to community members at 10 emergency food distribution sites (110 separate food distributions) in Santa Barbara, Carpinteria and Goleta, and provided lunches to students who lost access to free or reduced-price school lunches because of school closings (21 separate lunch distributions at five locations from Goleta to Carpinteria). 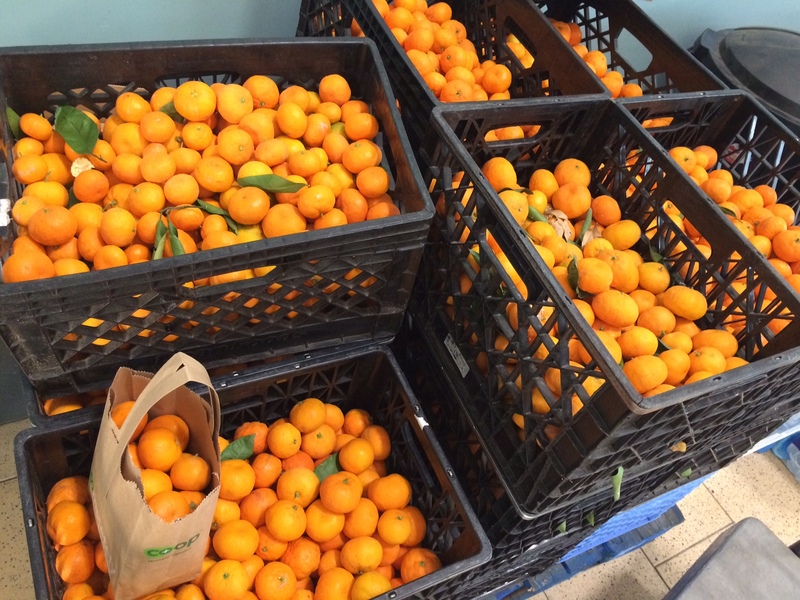 With the crisis related to the Montecito Mudslide, the Foodbank arranged special food distributions providing fresh fruits and vegetables, nutritious snacks and lunches, and healthy groceries free of charge to evacuated persons, first responders, students and those facing economic dislocation from disaster-related loss of work and income. In response to recent disasters in Santa Barbara County, the Foodbank served 12,487 individual clients 363,475 meals (461,613 pounds) from December 4, 2017 through January 31, 2018. This represents 42% more clients and 47% more meals served than in the previous year. We also supported the set-up of a new bi-weekly Mobile Farmers Market at Main School in Carpinteria to ensure ongoing availability of fresh produce in the southernmost part of the county. 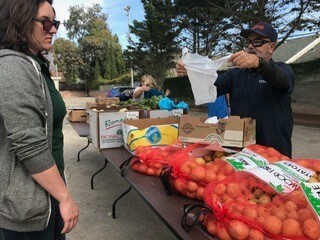 Additionally, we responded to specific needs within the community by providing fresh produce to evacuated families from Montecito Union School in a community-wide collaboration at their temporary instruction site at Santa Barbara City College and fresh produce for dislocated individuals standing in line for hours at the East Beach post office. The Foodbank has also given $20,000 in food grants to member agencies that provided nutrient dense food to those affected by the disaster. These included Unity Shoppe, Catholic Charities in Carpinteria, United Boys & Girls Club, Salvation Army and Jewish Federation. This entry was posted in News on February 5, 2018 by Hailey Phelan. SANTA BARBARA, Calif. – The Foodbank of Santa Barbara County hosted the 20th annual Empty Bowl fundraiser in Santa Barbara on Sunday. The yearly event raises awareness about hunger and food insecurity throughout the community. ‘Empty Bowls’ in Santa Maria is a fundraising event hosted by the Santa Barbara County Foodbank. Wednesday, October 25th, will mark the 16th year of the event. The annual Season of Hope food and toy drive kicked off on Monday. From now through Friday, Dec. 15, KSBY and its community partners will be collecting non-perishable food items and new, unwrapped toys for families in need on the Central Coast.